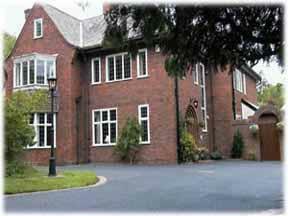 The Sefton Court is a handsome building Set in it's own garden with large private car park. We enjoy splended views of LLandudno the sea, and mountains of Snowdonia. This Victorian detached building has spacious rooms with fine features including original stained glass windows and wedgewood ceilings and our spacious dinning room overlooks the garden. 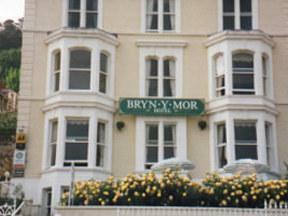 The well appointed bedrooms most with views of LLandudno. In the picturesque village of Pentrefoelas, 5 miles outside Betws-y-Coed, this small, family-run hotel provides a warm welcome and good value for money. Snowdonia National Park is a 30-minute car-ride away, as is white-water rafting in Bala. The largest outdoor go-karting circuit in North Wales, Glan y Gors, is a 5-minute drive away. Other nearby activities include golf, fishing, hiking and horse riding. In the 19th century, the Royal Mail coach often stopped at the Foelas Arms on its way from London through Betws-y-Coed to Holyhead. Today, the coaching route is the A5. 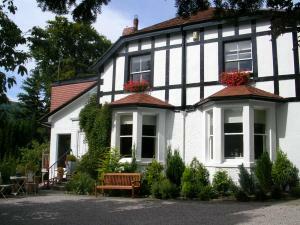 The hotel has refurbished its dining room and offers a wide range of home-cooked food prepared using local produce. Ideal for touring Snowdonia National Park, this friendly accommodation offers a warm welcome, comfy en suite rooms and a tasty, hot Welsh breakfast. 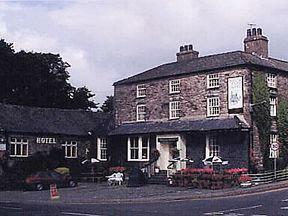 Bryn Holcombe offers double and twin rooms, all tastefully decorated and furnished to a high standard. From the establishment you can embark on beautiful country and coastal walks close to Colwyn Bay and around the hills, valleys, lakes and mountains of Snowdonia. Close by are the world heritage sites of Conwy Castle and the medieval walled town; Plas Mawr the Elizabethan manor house; the world famous Bodnant Gardens; Llandudno and the Great Orme Nature Reserve; and the Welsh Mountain Zoo. Explore miles of sandy beaches and golf courses, try horse riding and explore many more attractions. 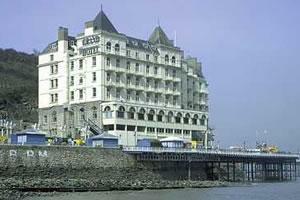 The hotel is just minutes away from the main coastal bus route. Boasting many attractive original features, this beautiful Victorian building now houses a charming 4-star guest house with just 6 rooms, ensuring a warm, friendly personal service. Bodnant Guest House offers cosy bed and breakfast accommodation in a peaceful, tree-lined road just a few minutes' level walk from the beach, the pier and the promenade. The centre of Llandudno and its shops, restaurants, train station and theatre are also just a couple of minutes' walk away. There are just 6 rooms, all of which are individually decorated to a high standard and spotlessly clean. Each room has a flat-screen digital TV, a hairdryer, a radio alarm clock and a refreshment tray with biscuits and chocolates. Free Wi-Fi is available throughout the house. 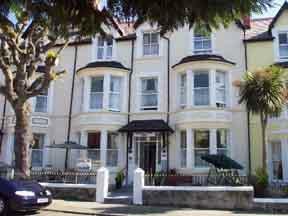 With charming accommodation and a good location, Bodnant Guest House is the perfect place to stay for an authentic break in this unspoilt Victorian seaside town. The Montclare and Cumberland hotels have a great position on the North Shore promenade. The front rooms have spectacular panoramic sea views. 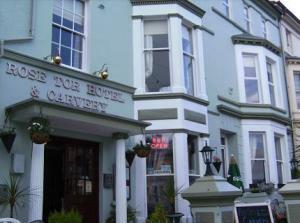 The family-run hotels are also close to the local town, and within walking distance of many of Llandudno's attractions. Shopping malls, the theatre, conference centre, entertainment area and different types of restaurants are all accessible from The Montclare & Cumberland. 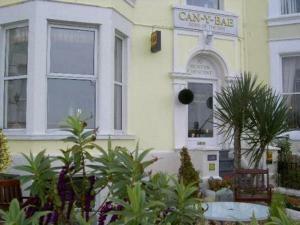 Since the 19th century, the Can-Y-Bae has provided an elegant escape from everyday life. Now as a sea front town house hotel, a few minutes walk from the town centre & the Venue Cymru Theatre & Conference Centre, we offer fully refurbished accomodation with a relaxed elegance & a contemporary twist. 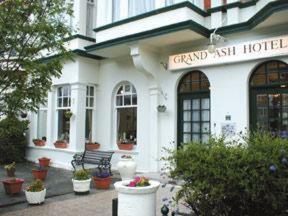 All rooms are en-suite & offer complimentary refreshments & luxury toiletries. All Premier rooms have lift access. We have a fully licensed bar & restaurant. This comfortable, family-run establishment in Snowdonia is nestled in the small market town of Llanrwst in the heart of the Conwy valley near Betws y Coed, North Wales. Sleep in one of our spacious en suite bedrooms and wake up with a hearty Welsh breakfast served in our up and coming restaurant Lle Hari. After breakfast the day is yours. With a central location for Snowdonia National Park, the Gwydyr Forest and the Aberconwy coast, sightseeing is a must. If, on the other hand, a pint and a paper is more your thing then you can take a stroll along Station Road to one of the old world pubs on Ancaster Square. We promise to make every effort to ensure your first visit will not be your last. Because we believe that you should arrive as a guest and leave as a friend. In a beautiful conservation area, just minutes from the town centre and the beach, this luxury bed and breakfast offers charming rooms, free Wi-Fi, free parking and an outdoor swimming pool and sauna. Situated in nearly an acre of its own grounds, in the beautiful Pwllycrochan Woods, Rathlin Country House has just 3 high-quality en suite rooms, ensuring guests receive friendly, attentive individual service and a warm welcome. All rooms are appointed to a very high standard with many added comforts such as towelling bathrobes and DVD players. 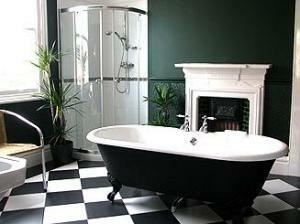 One of the rooms has a whirlpool bath, while another has a steam shower room. Rathlin Country House aims to offer all the luxury of a high-class hotel with the friendly, personal service and great value of a small bed and breakfast. 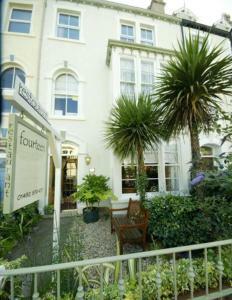 The bed and breakfast has been awarded 4 stars by Visit Wales, the Welsh tourist board. In warmer weather, guests can relax by the outdoor swimming pool or unwind in the sauna. 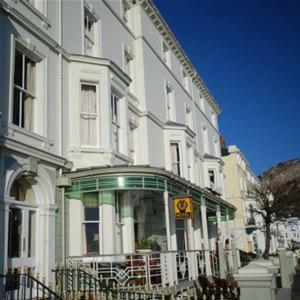 Standing on Llandudno's delightful promenade, at the very heart of the bay, this traditional, family-run traditional hotel provides the ideal base from which to discover the many wonderful attractions in the area. Just a short stroll away from the promenade, pier and shopping centre, The Esplanade Hotel is also perfectly placed for keen golfers, with 3 championship golf courses in the immediate area. The surroundings are also perfect for a range of country pursuits, with the wonderful backdrop of the Great and Little Ormes. All of the rooms at The Esplanade Hotel are tastefully and individually decorated. Each twin/double room either has one double or two single beds (please state your preference on booking). 90% of the rooms are accessible via the lift. An AA 5-star luxury Victorian guest house, Aberconwy House is situated in the picturesque village of Betws-y-Coed, near Mount Snowdon, providing the perfect base to explore Snowdonia National Park. Some rooms have stunning views of Snowdonia. 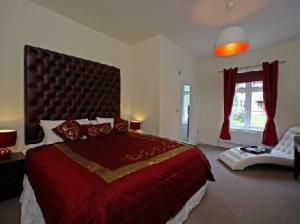 Rooms are stylishly decorated, with an en suite and an LCD flat-screen TV. Free Wi-Fi internet access is available in the hotel. The village is surrounded by the majestic Gwydir Forest, with many cycle and walking routes. The centre of Betws-y-Coed with its many restaurants is just a 10 minute walk away. After a day exploring the beautiful waterfalls, rivers and wildlife of Snowdonia, relax in the comfortable lounge or on the sun terrace at Aberconwy House. 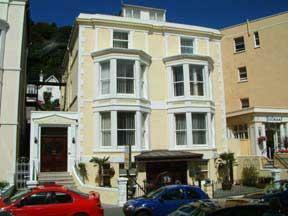 Located on level ground, just 100 metres from the town's seafront promenade, in the quiet, leafy suburbs of Llandudno, this charming 4-star guest house offers ample, unrestricted free parking. Fully refurbished in 2007, the Carmen has 7 attractive rooms, all with luxury en suite bathrooms, hairdryers and tea/coffee making facilities. Each room has a flat-screen LCD TV with Freeview digital channels. There is an open-plan lounge for guests' use, with a separate well-stocked bar, which offers you the opportunity to enjoy a drink and relax after an evening stroll, without the hassle of having to go into the town. The many varied shops and restaurants of the busy town are less than 10 minutes' walk away. Buses to all destinations operate every 10 minutes from the request stop just across the road. A generous full cooked breakfast is included in the price and features fresh locally sourced produce from the region. A haven of peace and tranquillity, nestled in over an acre of mature landscaped gardens, Tir y Coed is a 5-star country house and a Visit Wales Gold Award winner 2008/9. On the edge of Rowen, one of the Conwy Valley's most delightful villages, the Tir y Coed is within the boundaries of the Snowdonia National Park. The far-reaching views from Rowen extend to the magnificent mountains beyond. The medieval walled town of Conwy is just 4 miles (6.5 km) away, as is the coast. The house has many large windows, filling it with a warm, bright and welcoming light. All of the bedrooms are beautifully appointed and individually designed, with luxurious fabrics and attention to detail ensuring that each room becomes the perfect retreat. All rooms have a TV, refreshment tray, clock radio and an immaculate en suite bathroom or shower room.